Categories: Adoption Parenting, Attachment Disorder, Attachment Therapy, Child Care & Parenting, The Adoption Professional. Adopted children whose early development has been altered by abuse or neglect may form negative beliefs about themselves and parents, and may resist connecting with others. 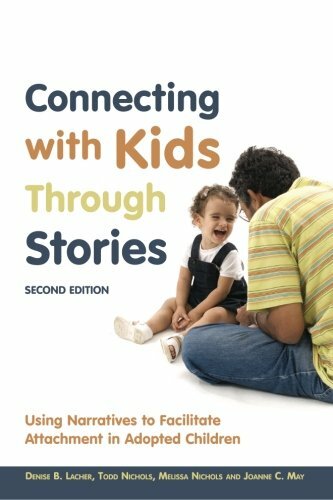 This book outlines how therapeutic stories can help children to heal and develop healthy attachments. With a thorough theoretical grounding, the book demonstrates how to create therapeutic stories that improve relationships, heal past trauma, and change problem behaviour. The story of a fictional family that develops its own narratives to help their adopted child heal illustrates the techniques. This second edition includes updated research on attachment, trauma and the developmental process; a new chapter on parental attunement and regulation; and a new chapter with full length samples of a variety of narrative types. The gentle and non-intrusive techniques in this book will be highly beneficial for children with attachment difficulties. This guide will be an invaluable resource for parents of adopted children and the professionals working with them.